The General Assembly (GA) is composed of representatives from all programs within the GradGov constituency (graduate schools with full-time students). It is responsible for enacting and administering all GradGov programs and functions. The Assembly maintains standing committees to perform GradGov's basic operations: the Internal Affairs Committee, the Advocacy Committee, and the Programming Committee. Though assembly meetings are open to all graduate students, only GA members may make procedural motions and vote on matters before the Assembly. Prior to the first Assembly meeting of the academic year, the GradGov Executive Board invites the administrative secretaries of all graduate programs in the GradGov constituency to initiate a procedure to select General Assembly representatives. Each graduate program establishes its own procedures for selecting their GradGov representatives. Role Introduction: Georgetown University Graduate Student Government (GradGov) is the official representation and voice of the enitre body of graduate students on main campus. The General Assembly , according to GradGov's constitution, is the official legislative body of all graduate students on main campus and most of the medical campus. 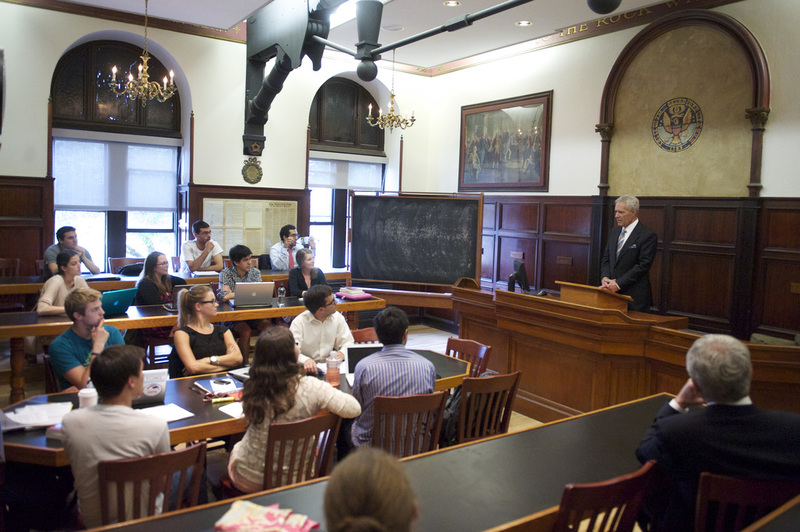 By joining the GA, student representatives have a unique opportunity to demonstrate engagement in the University community, advocate for graduate student interests, and represent their program on important decisions relevant to graduate student life here at Georgetown. Selection: In September, the GradGov invited each program to appoint or elect representative(s). General Assembly Representatives are allocated to each program proportionate to student population (current enrollment size according to university record) of the program. Official nomination emails were sent to program directors/advisors and many schools' own student associations assisted in selecting the GA Representatives. Meeting Time: All GA Representatives must be available to attend the monthly hour-long GA meetings on Tuesdays, from 5:30 pm to 7:00 pm. The meetings will fall on the following dates: 9/25, 10/16, 11/13, and 12/4. Please be assured that all graduate students are welcome to attend and observe any of our GA meetings, but only official GA Representatives have the right to vote on behalf of their programs.